For all you Jane Austen fans, Poldark will feel like watching one of her books come to life only the hero is a man. It is an epic story that takes place right after the American Revolutionary War where our hero, Ross Poldark comes back from the dead and finds that the life he has waiting for him in Cornwall is not at all what he had expected. 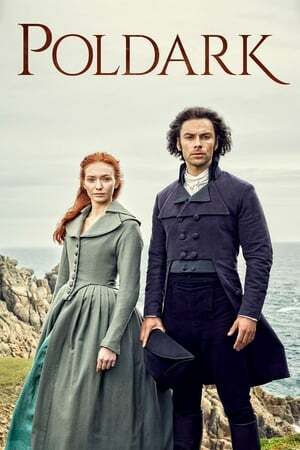 It’s a sweeping, epic story that unfolds scrumptiously as we follow the slings and arrows of misfortune that befalls Ross Poldark and how he is able to rise and battle his adversaries and carve a life of his own and in his own terms while re-establishing the name Poldark in society, and then some. The cinematography is breath taking, the dialogue is heavenly and the cast is just splendid. You will be transported back into the late 1700’s, I kid you not. This is truly an amazing show that is totally binge-worthy.